z0mg!! 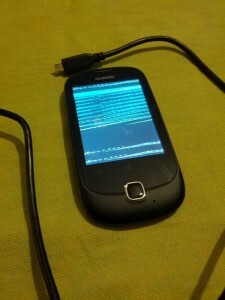 !1 I’ve “rooted” the Huawei U8185 (Ascend Y100)! Superuser root request on stock U8185… w00t? I say “rooted” (in quotes, as opposed to rooted) because it was extremely retarded and didn’t involve anything tricky, l33t, etc. The bootloader is unlocked so flashing a modified kernel and copying /system/bin/su and Superuser.apk is trivial. Trivial as it is, there’s still no easy way for most users to do this on their own yet. Done. Embarrassingly easy thanks to the open bootloader (it doesn’t check for signatures when flashing). Now that I have root I can dump system partitions like boot, recovery, and play around inside the phone. CyanogenMod, here I come! July 7, 2012 July 26, 2016 Alan OrthComments are off for this post. I would like to root mine but I do not seem to get there after following the procedure you’ve given out. Would you mind simplifying it please? Does it void the warranty? Thanks and I await your response. Regarding rooting yours… you need to flash ClockworkMod Recovery to your recovery partition, and then flash the SuperUser zip from http://goo.im/superuser. hey i’ve been unable to root my huawei u8185, i dont get the procedure, im lost at the beginning where you start by pressing the down volume button. After connecting to the cable what do you do, and is there any software needed to flash. there its not very clear to me. please help. i dont want this document to go and other documents, i want to uninstal the coz they are taking up alot of space and i have better applications to install like the smart office. thanks anyway. First, this article was about documenting my progress, not instructing users to follow my footsteps. Superuser will not flash on the stock Huawei recovery. This is why you were seeing signature errors.